Teff is only about the size of a poppy seed, which makes it the smallest of all the grains. Its tiny size makes it difficult to process or refine so you can reap the complete advantages of this nutritious food. Eating the whole form of a grain always delivers the most benefits for your body. For those with Celiac disease or other types of gluten intolerance, teff is a great option. This grain is used as the base for many gluten-free cereals, breads, and wraps. Teff flour is also a good choice for those who wish to create gluten-free baked goods. Anyone avoiding gluten-based products knows that having more alternatives makes it much easier to follow the dietary restrictions of a gluten-free lifestyle. Teff may be the smallest grain, but it certainly packs a punch in the calcium department. In fact, tiny teff has the highest calcium level of any grain. 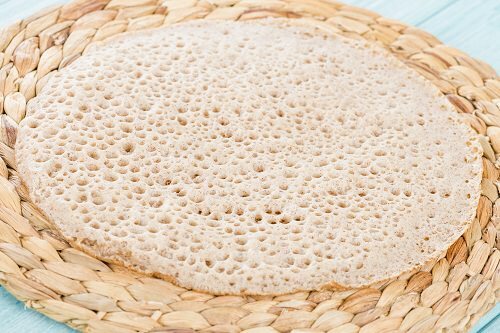 With 123 mg per cup, a serving of teff provides more calcium than some dairy products. It also contains a good amount of vitamin C, which is rare characteristic in the grain family. Resistant starch is essentially a form of dietary fiber since foods containing it tend to pass into the large intestine without being fully digested. As a result, teff can help those on a weight loss plan by providing a feeling of fullness. It’s also a good choice for those managing diabetes due to its ability to help regulate the blood sugar. Because resistant starch acts as a prebiotic, teff is beneficial for the health of your colon as well. Teff has a very mild taste so it can be prepared in a variety of ways. It has a slight sweetness that’s comparable to molasses, which makes it a great breakfast option. It serves as a nice change of pace from the usual morning oatmeal or cream of wheat. Teff flour is also a good choice to make a grainier version of pancakes or waffles. Teff can even be used to bring a nutty and earthy essence to savory dishes. Try using it as a binder in veggie burgers or preparing it as a stand-in for polenta. The possibilities are endless! Teff is a great way to expand your diet and expose yourself to new, exciting flavors. Coming up with different ways to get your daily recommended grains can be tough. But when the going gets tough, the tough gets teff! Don’t let its diminutive size fool you! Teff is a real powerhouse of nutritional benefits. It just might be the next big thing on the health food market. So give teff a try today and experience all the advantages this tiny grain has to offer!